Have you ever visited the Palazzo Pitti in Florence? If not, here there are some tips to help. If you are thinking about going, but then you see a huge line to entry, walk a little bit down to Via Romana, you will find a second entrance. It’s located 5 minutes from the main one, and most of the people don’t even know it exists. In this way, you can avoid all the crowd and instead of waiting in line for half hour or an hour, you can easily enter and go around the wonderful gardens, which are called the Boboli Gardens. Some history can help you to understand why this place is so important: the palace, bought in 1549 by the Medici family, previously was the town residence of Luca Pitti, a very ambitious Florentine banker. 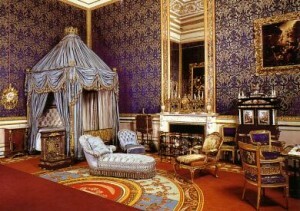 During the time, it grew as a great treasure house, until the 18th century, when Napoleon used the place as power base. Later on it was used as the principal royal palace of the newly united Italy. (Keep in mind that Florence was the 2nd capital of Italy, after Turin). After WWI, King Victor Emmanuel III donated the palace and its contents the Italian people by King Victor Emmanuel III in 1919. It became then a museum and it was opened to the public as one of the largest art galleries in Florence. Nowadays it is one of the most seen museums not only in the city, but in the entire country, due to the private collections it hosts, such as the Medici ones. Also known as the largest museum complex in Florence, the palace is composed by the principal block, which is designed as the so-called corps de logis and it is divided into several principal galleries and the gardens, which are the first elements tourists visit while going inside.